Looking for an air conditioning tune–up? If you need and HVAC contractor in Mandeville, LA, Professional Heating & Air is the company to call. We offer installation, repair and maintenance services on systems including central air conditioners, commercial air conditioning, ductless mini split systems, heat pumps, furnaces and more. To schedule heating and air conditioning services in Mandeville, LA, simply give us a call! You can’t afford to take any chances with the operation of your HVAC system. We have a great selection of air conditioning services in Mandeville, LA for you to choose from, including system installation, replacement, repair, and maintenance! We can also help you find the right AC system replacement if your old system is ready to be swapped out for a new one. Call today to learn more. Do not take any problems with your air conditioning system lightly, no matter how minor they may seem. You need to schedule professional air conditioning repair in Mandeville, LA as soon as you discover a problem with your cooling system. Let us help you enjoy the consistent, reliable performance you deserve from your air conditioner. Remember to schedule routine air conditioning maintenance with a Mandeville air conditioning specialist at Professional Heating & Air Conditioning. Don’t let your Mandeville, LA air conditioner fall into disrepair. Professional Heating & Air offers affordable air conditioning maintenance plans for residents of Mandeville and the surrounding area. Our air conditioning tune–up services ensure that your system is performing at its best in our warm Mandeville summers. Give us a call today to learn more about our air conditioning maintenance plans and services in Mandeville, LA and the surrounding area. When the heat of summer wanes and you find the temperatures dropping, contact us to get a great heating services in Mandeville, LA, including heating system installation and replacement. You cannot make it through the heating season comfortably without an exceptional, reliable heating system. We can replace any old, inefficient heating system you may have as well. Just call to speak with one of our Mandeville, LA heating replacement professionals. There is really no such thing as a minor problem with your heating system. Even the most inconsequential heating problems can develop into serious issues if given the time. Call us to schedule professional heating repair in Mandeville, LA if you notice any irregularities with your system. We also offer comprehensive heating maintenance. Indoor Air Quality: Never settle for anything less than exceptional indoor air quality in your home. If you are at all concerned about biological or airborne pollutants in your home, give us a call. 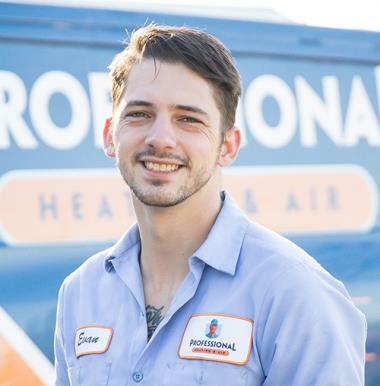 Our Mandeville, LA indoor air quality specialists are happy to help you improve the quality of the air that you breathe in your home for a healthier, more comfortable living environment. Commercial HVAC for Mandeville, LA Businesses: Do not let anyone other than a skilled, experienced professional attempt your commercial air conditioning & heating repair, maintenance, installation or replacement services in the area. 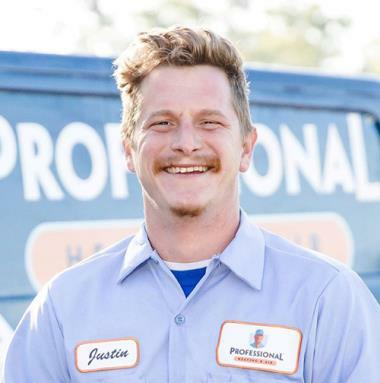 Professional Heating & Air is always here to help you get the best performance possible from your commercial air conditioning & heating equipment. Call us today for your commercial HVAC needs in Mandeville, LA. Duct Repair and Replacement: When you use air ducts to distribute heated and cooled air throughout your home, you really need to make sure that they are doing so in the most effective, efficient manner possible. Otherwise, your comfort as well as your budget may be at risk. Call us if you have any reason to believe that there is a problem with your air ducts. 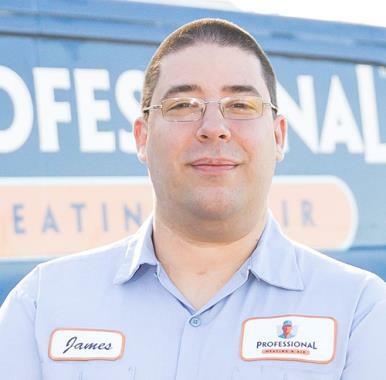 For duct repair and replacement services in Mandeville, LA, always call Professional Heating & Air. You need to keep your heating and air conditioning equipment in great condition to protect your comfort. For quality heating and air conditioning installation, repair and maintenance in Mandeville, LA, call Professional Heating & Air Conditioning. We’ll help keep your comfort consistent. Thank you so much Chad! We appreciate your business. 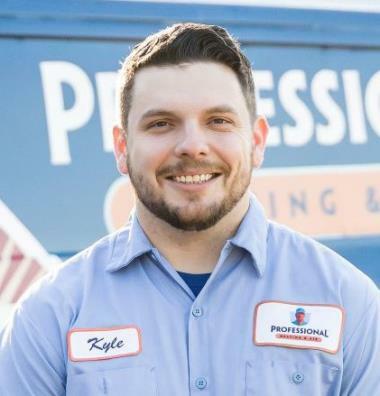 Kyle was professional incredibly knowledgable and an asset to your company. Thank you so much Mr. Jim. We really appreciate the wonderful review. I highly recommend them. They're friendly and knowledgeable and were able to come out on very short notice. The tech (Evan) was prompt, courteous and informative. And, he was polite and friendly. A great representative for the company. I was pleased to get a prompt response and professional service during the July 4th holiday weekend. A-Professional A/C repair has always been thorough and professional. Lucas was no exception. He was prompt, communicated well and, as with my other experiences with this company, he was pleasure to deal with. From the first phone call, I felt like my problem was a priority to them, and they got someone out to look at my air conditioner very quickly, which was great with temperatures in the 80's. I highly recommend this company to anyone. Responsive, respectful, reasonable and reliable service. The A-Professional team(owner, office, and field staff) did a very professional job installing a new heating & cooling system in my home. They were timely, efficient, knowledgeable, courteous and respectful. I would highly recommend them to anyone needing a new system or in need of guidance regarding a new system. Fixed voltage issue on 3 phase commercial condenser. Replaced capacitor and hard start kit on carrier system. Maintenance performed on Amana split system. Preventive maintenance performed. Float switch installed and drain line redone for proper drainage. Installing a 4 ton Daikin gas furnace. Dryer vent cleaned from start to finish. Maintenance on Bosch geothermal heatpump. Installed hot surface ignitor in gas furnace. Are These Indoor Air Quality Issues Killing Your Business? You're a Business Owner: What are Your Air Conditioning Options?